The president of Brazil has become the first nation leader to launch a conference with the sole purpose of promoting gay equality. 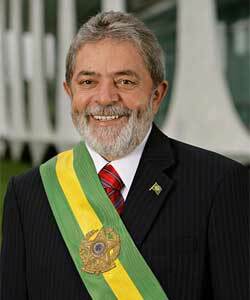 The First National Conference of Gays, Lesbians, Bisexuals, Transvestites and Transsexuals was inaugurated by president Luiz Inacio Lula da Silva, who called for a “time of reparation” in Brazil. Toni Reis, president of the Brazilian Association of Gays, Lesbians, Bisexuals, Transvestites and Transsexuals, advocated a gay statute. This would codify in law specific rights that Brazil’s legal framework could not prejudicially deny to LGBT citizens. The conference, which was called an important historic event in the history of Brazil, coincides with the news of a gay Brazilian army sergeant who was recently arrested, reportedly for desertion. He had given a series of media interviews about his sexuality before he was detained. Homosexuality has been legal in Brazil since 1823, except in the armed forces, and civil unions are allowed in some areas. However, homophobia and gay-bashing remain significant problems in the country of 184 million people.